Better profile screen allowing the user to enter his email address as well as specify his gender. The update is available at Nokia Store. So you can easily update using the store client. 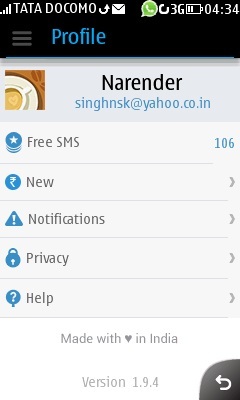 I want this app for my Nokia 301 dual sim. You can get it at Nokia Store. Find it in the Nokia Store.